Rebar has long been used by contractors for constructing buildings. Reinforced steel bars are the tried and true method for keeping concrete structures intact, whether these are bridges or commercial buildings. While its roots may be in the carpentry field, rebar has been used by many skilled people to craft beautiful works of art. 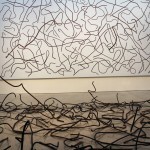 There are a variety of unique ways that these metal bars have been incorporated into art forms, and in many cases the whole work itself is centered on the rebar itself. 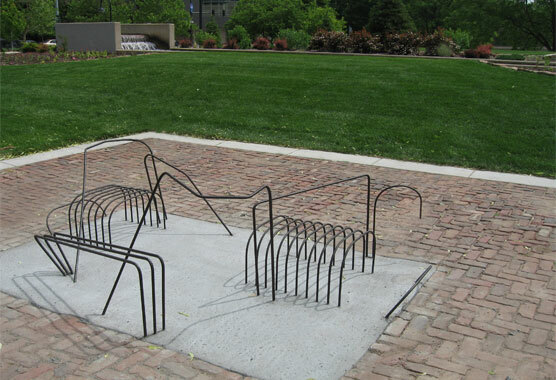 Due to its flexibility and unique design appeal, the possibilities of rebar art are limitless, especially with the help of portable rebar cutters and portable rebar benders. For instance, homeowners have used rebar as a form of decorative railing both inside and outside their houses (i.e. on staircases and in fencing). That is not all, however, as there are a multitude of other ways people have infused their creative expressions with metal. 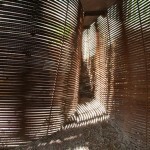 By using an assortment of rebar tools (http://www.bnproducts.com/), you can create virtually anything. If you are interested in crafting something from rebar (i.e. furniture or art) make sure you have the tools and experience needed for the job. Specialized rebar cutters will be needed to trim the full bar down to size, and rebar benders will make it easier to shape the metal to the proper form. It should be noted that safety is key whenever you’re working around this material. Although the ends are typically capped or rounded during the manufacturing phase to prevent injury to construction workers, reinforced steel is very dangerous and should be properly handled at all times (safety gloves and eyewear) to prevent injuries. With both safety and creativity in mind, here are a few images of what some people have made with a little imagination and rebar! You can definitely tell this artwork was commissioned and has been appreciated by many, as is seems to be a featured sculpture in a park. The artist obviously spent some time with bending the metal to shape and was able to form these unique shapes. Notice the sharp angle of the piece in the front? This takes a lot of precision and skill. It’s a rebar maze! The sheer volume of pieces used in the sculpture is stunning. It probably took the artist a long time to gather, place and weld these pieces together, but it certainly is an amazing sight. What’s most impressive about this structure is the fact that the bulk of the rebar sticks have been curved and that they are all so perfectly aligned. 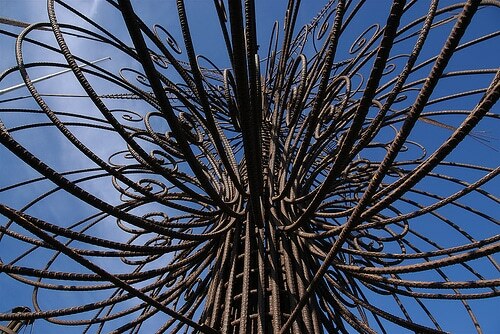 This truly is rebar art at its finest. It is difficult to tell exactly how tall this structure is, but it doesn’t appear to be small by any means. Take a second to admire the skill and work that went into the details of this piece, specifically the rounded arms at the top of the structure. 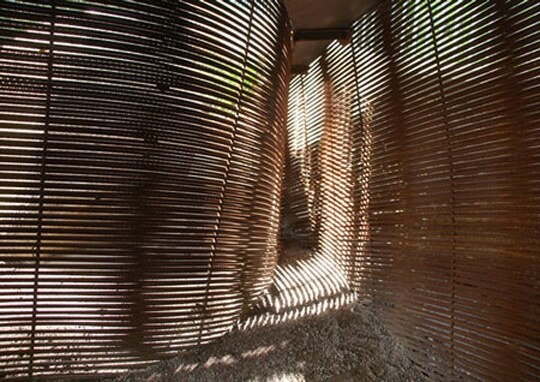 This piece is an incredibly unique approach to utilizing rebar. 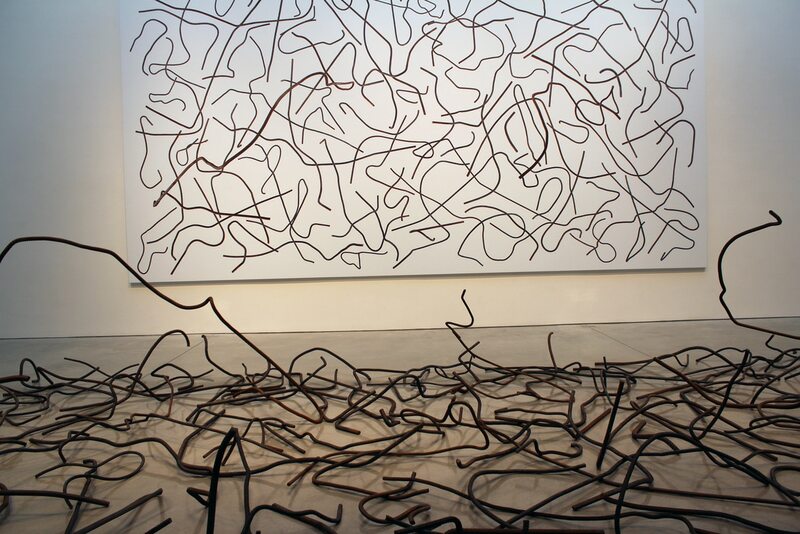 What a great way to reflect the theme of the artwork on the wall by use of rebar. The rebar on the floor is a mirrored reflection and supplement to the painting on the wall, but we bet it took much longer to cut, bend and place the metal than it did to draw the painting. Did this post inspire you to use your rebar cutter and bender in a more creative way? 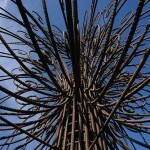 Have you ever completed any art projects with rebar? Or do you have any favorite art you’d like to share? Tell us more in the comments!